Brentford FC CST soccer and multi-sport camps are open to boys & girls aged 5-12 years of all abilities. 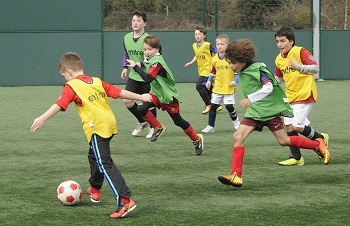 Soccer Schools focus on technical and skills development. In the morning participants take part in training sessions whilst the afternoons are dedicated to small-sided development games. On 3-day camps we run tournaments on the final day of the camp. Multi-sports camps follow the same format as the soccer schools but with activities including football, tennis, cricket, basketball, netball, athletics and ultimate frisbee. Soccer Schools and Multi-sports camps are a great way for youngsters to make new friends and take part in excellent football and sporting fun! Our provision offers exceptional value for money and guarantees your child a great opportunity to have fun whilst learning in a safe and secure environment. All of our coaching staff are FA qualified and have completed their Safeguarding Children, CRB and Emergency Aid certificates. Prices for all camps start from £15 per child per day for early bird/online bookings.